Dr. Mona Hanna-Attisha spearheaded efforts to publicize and address the water crisis in Flint, Mich. In 2014, Flint, Mich., changed its water source from the Great Lakes to the nearby Flint River. Tests later revealed elevated levels of lead in the water coming from the river. Her friend warned otherwise: "She said, 'Mona, the water isn't being treated properly. It's missing something called corrosion control. ... Without that corrosion control, there is going to be lead,' " Hanna-Attisha remembers. The possibility that the city's drinking water had been tainted by lead raised alarms in Hanna-Attisha; exposure to lead can result in long-term cognitive and behavioral problems, especially in children. As Hanna-Attisha began reviewing her patients' medical record, she noticed that the percentage of children with elevated lead levels had increased after the water switch. But when she shared her data at a hospital press conference, government officials tried to discredit her. "The state said that I was an unfortunate researcher, that I was causing near-hysteria, that I was splicing and dicing numbers," Hanna-Attisha says. "It's very difficult when you are presenting science and facts and numbers to have the state say that you are wrong." But Hanna-Attisha refused to give up. Instead, she spearheaded efforts to publicize and address the water crisis in Flint. She writes about her experiences in the book What the Eyes Don't See. "This is a story of resistance, of activism, of citizen action, of waking up and opening your eyes and making a difference in our community," she says. "I wrote this book to share the terrible lessons that happened in Flint, but more importantly, I wrote this book to share the incredible work that we did, hand in hand with our community, to make our community care about our children." Flint was in a near-bankruptcy state, really suffering from crisis for years, if not decades before this water crisis. In Michigan, if you're in financial dire straits, the state can come in and really usurp democracy. So in 2011 Flint became under the control of state-appointed financial emergency management, and that emergency manager's job was austerity. It was ostensibly save money no matter what the cost. This was all done to save money, to cut costs, with no, no regard for public health or children's health. The folks who grew up in Flint know the history of the Flint River. We are a legacy industrial community. The Flint River has actually caught on fire twice in the past. The corrosion or the impact of the water crisis was not the Flint River's fault. The Flint River probably would have been OK, not ideal, if it was treated properly. The greatest irony is that the treatment chemical, the corrosion control, would only have cost $80 to $100 a day. That's all it would've cost to properly treat this water. Yet that was never put in this water. The pump to install that treatment was actually never installed, so there never even was an intent to treat this water properly. On how lead is a "silent pediatric epidemic"
The consequences of lead exposure is something we don't readily see. It impacts, at a population level, cognition, so actually drops the IQ of a population of children, shifting that IQ curve to the left where you have more children who need special education services, less gifted kids. It impacts behavior — increasing the likelihood of things like attention deficit disorder. It has been linked to impulsivity. It has been linked to violence and even to criminality. So lead exposure has these lifelong cognitive and behavioral consequences that you do not see right away. Our response in Flint has been very proactive and preventative, because we cannot ethically wait to see the consequences of lead poisoning, of lead exposure, so we have put into place multiple, multiple interventions that we know that will promote children's brain development and limit the impact of this crisis. We can't take away lead — I wish I could I prescribe a magic pill or an antidote to take away lead poisoning; there is no such thing. But we can do a lot to limit children's exposure to mitigate the impact of this crisis. A lot of people had concerns, especially early on, with bathing and showering. We had bacteria in the water, then we had a lot of chlorine in the water, which irritated people's skin and eyes. People had rashes and hair loss and they'd take a bath and up to the water line their kids would break out in rashes. We didn't really know why people had these rashes. Lead per se does not cause skin issues. The [Centers for Disease Control and Prevention] actually came in and did a huge rash investigation and what they noted was that yeah, people had more skin issues, but we don't know why. There was a lot of stuff in this water that could have irritated people's skin. So that is a case-by-case basis, deciding if you can bathe, if you can shower. For some people, it's fine; for some people it still causes irritation. [Flint is] one of the poorest cities in the country. Until recently the state was paying for bottled water, and that ended a few weeks ago, so now it's being supported by churches and nonprofits like the United Way. Growing up in poverty is a toxic stress. Being exposed to violence, lack of nutrition, unsafe places to play — all of these are toxic stresses. And now recently, with the incredible science of brain development, we've learned that all this repetitive stress and trauma for children impacts their entire life course trajectory in a very graded and predictable way. The more of these adversities you have — especially really early in life during this period of critical brain development, this prenatal or preschool period — the more of these toxicities you have, be it lead exposure or be it poverty or family separation, the more likely that you are going to grow up to be unhealthy and have more chronic diseases. In the original study on [adverse childhood experiences], it actually showed an impact on mortality. If you had six or more of these ACEs, these adverse childhood experiences, your mortality dropped 20 years. Your life expectancy dropped 20 years. Our kids in Flint already had a decreased life expectancy. Their life expectancy in the Flint ZIP code is 15 years less than the life expectancy of an adjacent ZIP code. So we were a community that was already rattled with these toxic stresses. This is FRESH AIR. I'm Terry Gross. My guest is proof that science and facts can defeat political lies and cover-ups about the environment and public health. But her story is also about irreversible medical damage. 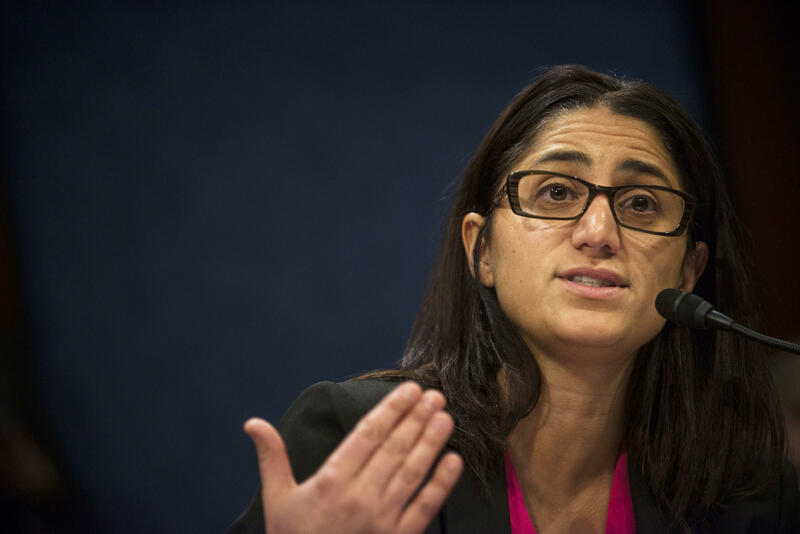 Mona Hanna-Attisha is the pediatrician in Flint, Mich., who proved that children in Flint were being exposed to lead in tap water. How she discovered that lead was in the water and how she proved it is the subject of her new memoir "What The Eyes Don't See." She writes (reading) this is the story of a government poisoning its own citizens and then lying about it. It is a story about what happens when the very people responsible for keeping us safe care more about money and power than they care about us or our children. She adds (reading) it is also a story about a breakdown in democracy, the disintegration of critical infrastructure, due to inequality and austerity, and environmental injustice that disproportionately affects the poor and black. Dr. Mona, as she is known, is a pediatrician at Hurley Medical Center, a public hospital in Flint, and a professor of pediatrics at Michigan State University. Her parents are Iraqi immigrants. Dr. Mona, welcome to FRESH AIR. As a pediatrician and an immigrant - the daughter of parents who immigrated from Iraq, what are your concerns about the children who were separated from their parents after crossing the border illegally? And what are the long-term effects that separation might have on them? MONA HANNA-ATTISHA: The science of this separation - it's a trauma. It inflicts a trauma on children that can cause irreparable damage to their development. This is no different than being abused or neglected. This is a trauma. And this is exactly the kind of things that pediatricians need to protect children from. GROSS: You refer to something in your book - an acronym called ACE, which stands for adverse child experiences. These are toxic stresses. GROSS: And you cite a landmark study that found that the more of these adverse child experiences a child has, the greater the chances of long-term physical and behavioral health issues. And you say resilience is something that is learned. HANNA-ATTISHA: Yes. So ACE is - and the concept of toxic stress I think is the most important thing in pediatrics and public health right now. Our trauma in Flint - the water crisis and the trauma that came with that - is also a toxic stress. And that's how we've framed the entire crisis - one added adversity to children who are already suffering from so many adversities and obstacles to their development. The separation of their children and families is a toxic stress. Growing up in poverty is a toxic stress. Being exposed to violence, lack of nutrition, unsafe places to play - all of these are toxic stresses. And now recently with incredible science of brain development, we've learned that all this repetitive stress and trauma for children impacts their entire life course trajectory in a very graded and predictable way. The more of these adversities you have - especially really early in life during this period of critical brain development - this kind of prenatal or preschool period - the more of these toxicities you have - be it lead exposure or be it poverty or family separation - the more likely that you are going to grow up to be unhealthy and have more chronic diseases. And actually, in the original study on the ACEs, it actually showed an impact on mortality. If you had six or more of these ACEs - these adverse childhood experiences, your mortality dropped 20 years. Your life expectancy dropped 20 years. And our kids in Flint already had a decreased life expectancy. Their life expectancy in the Flint zip code is 15 years less than the life expectancy of an adjacent zip code. So we were a community that was already rattled with these toxic stresses. 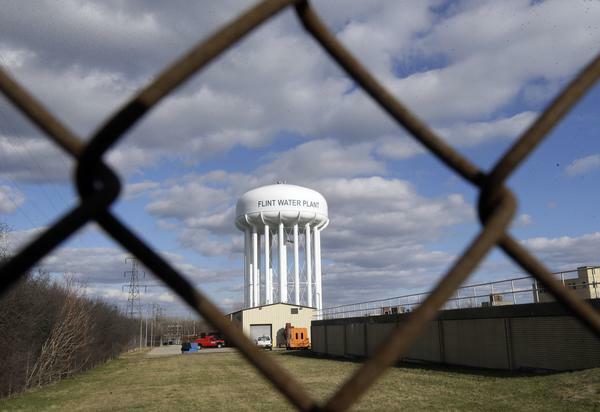 GROSS: So what is the quality of Flint's tap water now? And do you drink it? HANNA-ATTISHA: That's a great question. So Flint is still in a state of public health emergency. The people of Flint are still recommended to drink filtered water or bottled water. Our water quality has dramatically improved since the onset of this crisis. However, Flint is embarking on something that no other city is doing. We are replacing our damaged lead pipes. We were on this corrosive untreated water for 18 months, and that ate up our infrastructure. So those pipes are being replaced, and that takes time. We've replaced about 6,000 of those damaged lead pipes. But there's about 9,000 of those pipes that still need to be replaced. Until then, if the people have not had their pipes replaced, they need to be on unfiltered or bottled water. GROSS: Does that include baths and showers? HANNA-ATTISHA: A lot of people had concerns, especially early on, with bathing and showering. We had bacteria in the water. Then we had a lot of chlorine in the water, which irritated people's skin and eyes. People had rashes and hair loss. And they'd take a bath. And up to the waterline, their kids would break out in rashes. So it was very - we didn't really know why people had these rashes. Lead, per se, does not cause skin issues. The CDC actually came in and did a huge rash investigation. And what they noted was that, yeah, people had more skin issues. But we don't know why. There was a lot of stuff in this water that could have irritated people's skin. So that is a case-by-case basis - is deciding if you can bathe or if you can shower. For some people, it's fine. For some people, it still causes irritation. GROSS: Are you treating children now who you're treating for long-term effects of lead poisoning? HANNA-ATTISHA: Absolutely. So our stance, since the onset of the recognition of the crisis, is to treat everybody as if they were exposed. Exposure to lead is known as a silent pediatric epidemic. We do not see the consequences of lead poisoning right away. I wish we did. I wish if a kid was exposed to lead, they had, like, bright yellow bumps. And we could immediately identify that they were exposed and that they needed treatment. But we don't see the consequences. And there's often a time lag from exposure to when we do see potential consequences, like school issues or behavioral problems. So our response in Flint has been very proactive and preventative because we cannot ethically wait to see the consequences of lead poisoning - of lead exposure. So we have put into place multiple, multiple interventions that we know that will promote children's brain development and limit the impact of this crisis. We can't take away lead. I wish I could prescribe, like, a magic pill or an antidote to take away lead poisoning. There is no such thing. But we can do a lot to limit children's exposure - to mitigate the impact of this crisis. GROSS: How did you first recognize that there was a problem in the water? HANNA-ATTISHA: So it was not in the clinic. It was not by seeing patients. It was not in the hospital. It was at my house. I happened to have two high school girlfriends over. We were hanging out with our children - lots of little kids running around. And one of my high school girlfriends happens to be a water expert. She used to work for the EPA. And she - with glasses of wine in both of our hands, she's like, hey, Mona, have you heard about the Flint water? I'm like, yeah, you know, there was bacteria. But, you know, that was cleared up. And then there were some other problems. But that was cleared up. I mean, I'm telling my patients that the water's fine. They keep asking me. But, you know, the state says everything's OK. Everything must be OK. And she turned to me. And she said, Mona, the water isn't being treated properly. It's missing something called corrosion control. And I had no idea what she was talking about. And she said, without that corrosion control, there is going to be lead in the water. And that was the very first time - at my home, in my kitchen, glass of wine in my hand - that I heard about the possibility of lead in the water. GROSS: And your friend knew this because she had worked at the EPA and had seen an EPA memo. Tell us about that memo. HANNA-ATTISHA: Yeah, so my friend was formerly with the EPA. And she was with the EPA about a decade ago in Washington, D.C., when Washington, D.C., had a very similar lead in water crisis. So she very much knew about the consequences of lead in water. And she had seen a memo released by one of her former colleagues - Miguel Del Toral out of EPA in Chicago. And in that memo, he warned that Flint was on the brink of a lead in water disaster, and they needed to take action. GROSS: So was it the EPA memo that enabled you to make a connection between lead in the water and the symptoms you were seeing in the children you were treating? HANNA-ATTISHA: So I did not see any symptoms in the children I was treating. Lead has no symptoms. So I love to take my medical students and my residents - like, how does a child with lead poisoning present? And it's asymptomatic. They have no symptoms. So we have to be kind of on alert and do screening to see if there is any exposure. So when I heard about the possibility of lead in water - when I read that EPA memo, I tried to get the data to see if our children's blood lead levels had changed since the change in the water source. GROSS: Oh, that's so interesting that you don't see any symptoms because the symptoms are - what? - cognitive, other brain-related symptoms over a long period of time. HANNA-ATTISHA: Yeah. And that's kind of one of the reasons why the title of my book is "What The Eyes Don't See." So our eyes do not see lead in water. So lead literally in water is invisible. It's odorless. It's tasteless. But also, the consequences of lead exposure is something we don't readily see. It impacts, at a population level, cognition. So it actually drops the IQ of a population of children, shifting that IQ curve to the left, where you have more children who need special education services, less gifted kids. It impacts behavior, increases the likelihood of things like attention deficit disorder. It's been linked to impulsivity. It's been linked to violence and even been linked to criminality. So lead exposure has these lifelong cognitive and behavioral consequences that you do not see right away. GROSS: Once you realized that there was lead in the water, or that you suspected that there was lead in the water, you had to do some scientific research to present evidence that something was happening. What did you need to do to create the kind of study that you could bring to the authorities and say, look at what's happening? HANNA-ATTISHA: Yeah. So I knew that I needed proof of impact. I needed to find out if that lead in water was getting into the bodies of our children. As pediatricians, we routinely screen children for lead exposure. We do this at the ages of 1 and 2 for high-risk groups, especially children on Medicaid because Medicaid serves as a proxy for poverty, and these are some of the highest groups that are exposed to lead. So I knew that in my clinic, we screen children for lead. And I knew that in other clinics in Flint, they also screened children for lead. But I also realized that blood lead levels are part of statewide and countywide surveillance programs. So we have several programs where - that are designed to kind of track things - track epidemics, track, you know, flu rates and HIV rates. And lead is one of those things. We have surveillance programs already designed for blood lead levels. So I tried to get that blood lead data both from the state and from the county health departments but had roadblocks at every direction. HANNA-ATTISHA: So then - I have no idea why. I try - you know, there was so much denial in the Flint story. So much information was hidden from those who tried to get the information. I wish that was readily shared to me, and I wish I had known that even at that time, even when I started asking for this information, the health department at the state level had actually already looked into children's lead levels and on their own had already seen a spike in children's lead levels. I wish that was out there; I wish that was shared; I wish that was transparent because then our crisis wouldn't have gone on as long as it did. GROSS: So some authorities knew and did nothing. HANNA-ATTISHA: Absolutely. And that's why we have so many criminal charges right now. GROSS: How many people are being charged? HANNA-ATTISHA: Over 15 people have had criminal charges brought against them, including negligent homicide charges. Not only was this a crisis of lead exposure, we also had one of the largest outbreaks of Legionnaires' disease. It's a pneumonia that older people get. At least 12 people died from that. There was also an uptick in general pneumonia deaths, mortality possibly due to Legionnaires' disease. And because of that, there's been charges against folks at the health department and the water department, one of the emergency managers for negligent homicide. GROSS: So let's take a break in this story, and then we'll come back and talk more. If you're just joining us, my guest is Dr. Mona Hanna-Attisha. She is the pediatrician who exposed that lead was poisoning children in Flint, Mich., in 2015 and warned about lead in the tap water. Her new memoir is called "What The Eyes Don't See." We'll take a short break. We'll be right back. This is FRESH AIR. GROSS: This is FRESH AIR. And if you're just joining us, my guest is Dr. Mona Hanna-Attisha. She's the pediatrician who exposed that lead was poisoning children in Flint, Mich., through the tap water in 2015. Her new book is a memoir called "What The Eyes Don't See." It's about the water crisis, the politics and racism that led to the crisis and her role in solving it. It's also a personal memoir about being the daughter of Iraqi immigrants. She is a pediatrician at the Hurley Medical Center, a public hospital in Flint, Mich., and a professor of pediatrics at Michigan State University. So when you found out that there was no corrosion measures in the Flint water, what did that mean? HANNA-ATTISHA: So when I first found out there was no corrosion control, I had no idea what that meant. I - you know, I actually have an environmental health background. I'm trained in public health. But not until that point did I even know that our plumbing had lead in it. For years, I'd been treating kids with lead poisoning, and I always asked if they were exposed to lead paint or lead dust or lead soil or, you know, toys that may have lead in them, and I never even thought to ask if children were drinking water that may have been contaminated with lead. And that speaks to my blindness about knowing about this environmental health risk. So when I heard that there was no corrosion control being used, I had to ask - I'm like, OK, so what does that mean? And my good friend Elin, the water expert, said well, if there's no corrosion control, the lead that is in plumbing is going to come out of that plumbing, and it's going to go into the drinking water. And this was all new information for me. And I wish I would have known that, and I wish I would have known the history of lead in water. And in this book, it dives into a lot of history because Flint is not the first time we've had a lead-in-water issue. Washington, D.C., a decade ago is not the first time. We've actually had lead-in-water issues, like, since we first started putting lead in our plumbing. The Romans put lead in their plumbing, and they also put it in a lot of their food. And actually, many people hypothesize the demise of the Roman Empire is because they used so much lead in their plumbing and in everything else. So I wish folks will open their eyes and learn from history. And a lot of that history is in this book so that we do not repeat these same mistakes. GROSS: So you said you treated a lot of children for lead poisoning. I guess there's a difference between lead poisoning and lead exposure. HANNA-ATTISHA: Sure. So there is - lead is a poison. We now know that there is no safe level of lead, so any exposure can be considered a poisoning. Children need medical care - they need to be, for example, admitted to the hospital when their lead levels exceed, for example, 40, 45 micrograms per deciliter, which we did not see in Flint. And that's when they need to be chelated. So an agent takes the lead out of their body. However, chelation does not change a child's neurodevelopmental outcome. The only treatment for lead exposure - lead poisoning - is prevention because it is an irreversible neurotoxin with no safe level of exposure. So the only treatment is prevention. GROSS: So when you said that you had been treating children with lead poisoning for years, was that based on just seeing what the levels of lead were in their blood? HANNA-ATTISHA: Yeah. So that was as a pediatrician both - mainly in Detroit where I had done my training. You know, we would have kids coming in with high levels. And we would not even know they'd have a high level until we did the screening test because there are no acute symptoms. GROSS: So you managed to get your hands on medical records of many children in Flint and to show that there was an unusually high number of children with lead in their blood. Your research was discredited. How was it discredited? HANNA-ATTISHA: Yeah. So we found that the percentage of children with elevated lead levels increased after the water switch, and this was contrary to everything that was happening nationally, statewide and in the city. Publicly shared this data, which is very atypical of a physician. In academia, you're supposed to present your research in publications and journals. And this was kind of a form of academic disobedience, but our kids did not have another day. That process takes a long time. So we publicly shared this data at a hospital press conference, warning families and children to take precautions and to not use this tap water, especially for our youngest and most developmentally vulnerable. And just as Marc Edwards was attacked, I was also attacked. So the state said that I was an unfortunate researcher, that I was causing near hysteria, that I was splicing and dicing numbers. And that their numbers - the large data set, that surveillance data set - was not consistent with my numbers. So it's very difficult when you're presenting science and facts and evidence to then have the state say that you are wrong, and it's hard not to second-guess yourself. When I was writing this book, I was reliving those emotions that went through me during that time. You know, I was - at that time, I was - I just wanted to hide under a cover. I'm like, you know, this whole state - you know, their whole, you know, department of health and their team of epidemiologists and those folks who have even more numbers than I do are saying I am wrong. And maybe I am wrong. You know, maybe I should not have spoken out. Maybe I should not have been doing this work. But finally, you know, despite that kind of setback and pushback and, you know, being discredited and the research being discredited, I realized, as a researcher, that these numbers that were part of my research - the facts - every number in my research was a child. And it was that realization that these were children we were playing with and it was their future that was on the line that really gave me that fight back to say, hey, no, these numbers are right. We have checked and triple-checked. And we didn't even have to have evidence of children with increased lead in their blood. It should've stopped when we knew that there was lead in the water. And that's kind of what pushed me and gave me my fight to continue on. GROSS: My guest is Dr. Mona Hanna-Attisha. She's written a new memoir about the Flint water crisis and her critical role in proving that there was lead in the tap water. The book is called "What The Eyes Don't See." After a break, we'll talk more about Flint and about being the daughter of Iraqi immigrants. And our TV critic David Bianculli will review Paul McCartney's appearance on James Corden's "Late Late" night feature "Carpool Karaoke." I'm Terry Gross, and this is FRESH AIR. (SOUNDBITE OF JOSHUA REDMAN'S "COURAGE (ASYMMETRIC ARIA)"
GROSS: This is FRESH AIR. I'm Terry Gross back with Dr. Mona Hanna-Attisha, the pediatrician who helped prove that there was lead in Flint Michigan's drinking water and that the children who were drinking it had elevated levels of lead in their blood. Her research was challenged by the government, but she refused to back down. She's written a new memoir called "What The Eyes Don't See: A Story Of Crisis, Resistance, And Hope In An American City." Her book is also about being the daughter of Iraqi immigrants. GROSS: ...Flint, the medical costs of treating the children. And this is going to go on for a long time - for years. HANNA-ATTISHA: Yeah, it's a long-term issue. GROSS: ...Explain a little bit about the emergency managers that Governor Rick Snyder put into place in cities like Flint that were in debt. HANNA-ATTISHA: Yeah. So Flint was in a near-bankruptcy state really suffering from crisis for years, if not decades, before this water crisis. And in Michigan, if you're in kind of financial dire straits, the state can come in and really usurp democracy. So in 2011, Flint became under the control of state-appointed financial emergency management, and that emergency manager's job was austerity. It was essentially, save money, no matter what the cost. And they decided that the water that we had been getting for half a century from the Great Lakes - fresh, pre-treated Lake Huron water that we had been buying from Detroit - was too expensive, and we would start drawing water from the local Flint River until a new pipeline to the Great Lakes was to be built. So the move to the Flint River was a temporary move until a new pipeline was to be built. And this was all done to save money, to cut costs with no, no regard for public health or children's health. And the folks who grew up in Flint, like, know the history of the Flint River. I mean, we are a legacy industrial community. The Flint River has actually caught on fire twice in the past. But this wasn't actually the corrosion - or the impact of the water crisis was not because - it was not the Flint River's fault. The Flint River probably would have been OK - not ideal - if it was treated properly. And the greatest irony is that the treatment chemical, the corrosion control, would only have cost 80 to $100 a day. That's all that would have cost to properly treat this water, yet that was never put in this water, and the pump to install that treatment was actually never installed. So there never even was an intent to treat this water properly. GROSS: Was that a function of ignorance or austerity, financial austerity? HANNA-ATTISHA: That is a great question, and I think that's why we have so many investigations. People are trying to get at the fundamental of why. Why was this water not treated properly? And I have no idea why. Many people point to this as an environmental justice issue, that it was because of the demographics of the population that this crisis happened and was prolonged and that these people were neglected for so long. I don't know if it was laziness. I don't know if they just wanted to kind of slide by until this new pipeline was to be built, that, you know, nobody would notice if it wasn't being treated properly. But, you know, I would love to find out the answer, and I look forward to even more investigations as to the why. GROSS: When Governor Rick Snyder appointed an emergency manager to take over Flint, who did that replace? Did that replace the mayor, the City Council? HANNA-ATTISHA: Yeah, it replaced everybody, but essentially, the mayor and the City Council. So the City Council actually voted to go back to Great Lakes water because of all the citizen complaints. People were complaining about odor and, you know, the quality of the water and the bacteria in the water. And the City Council actually voted for Flint to go back to Great Lakes water, but the emergency manager said, no, that's not possible. So there was no democracy in Flint. There was no accountability. GROSS: Yeah. You write that by 2013, half of all black citizens in Michigan were living under an emergency manager, compared with 2 percent of white residents. So it's half of all black citizens, 2 percent of white residents, which you say meant that half of the black population in Michigan did not have elected representatives running their cities. The cities had been effectively colonized by the state. GROSS: So is the water coming from Lake Huron again now? HANNA-ATTISHA: Yeah, so just - actually, just a few weeks after our press conference, we switched back to treated Great Lakes water. However, for the 18 months that we were on this corrosive, untreated water, it damaged the infrastructure so much, and that is why people had to remain on filtered and bottled water until the pipes were replaced. GROSS: So you are a pediatrician in Flint, Mich., where people are still under an advisory to drink filtered or bottled water. What about those of us who aren't an advisory - under an advisory? What advice would you have for us about drinking tap water? HANNA-ATTISHA: Yeah, I feel like I've taken a kind of crash course on water chemistry and drinking water quality over these last few years. And what I have learned is that the regulations on the books do not fully protect children. The lead and copper rule, which is part of the Safe Drinking Water Act, has not caught up with the science that we now know, where there's no safe level of lead that's allowed. So for children in Flint and for children everywhere, especially if it's a pregnant mom or a child up to the age of 5, I recommend filtered water if you really want to protect that child. Until we have massive investments in the infrastructure to get the lead out of our plumbing, until we have strengthening of regulations, I would recommend people take additional precautions. GROSS: OK (laughter), so that doesn't sound great. So you would be drinking bottled or filtered water no matter where you lived in the U.S.
HANNA-ATTISHA: Yes. We were stubbornly slow as a nation to restrict lead in our plumbing. We didn't restrict lead in our service lines, which are the water lines that go from the water main to your house, until 1986. But we actually didn't restrict lead in our brass fixtures until 2014. So for example, Flint schools didn't have lead lines, but they had some of the highest water lead levels, and that's because the fixtures were leaching lead. And every week almost, we hear about another community or another school district all around our nation who is testing and finding lead in their water because there is lead in their water. So these are some of the great, positive ripple effects about the Flint story - is that, you know, people thought we took care of land; people thought it was a problem of yesterday, but it's problem of today, and it's a problem of tomorrow. And we're fortunate that people are now paying attention to it. GROSS: ...When it comes to lead? Yeah. HANNA-ATTISHA: Yeah. So you have to have a specific lead-clearing filter. It's an NSF - National Science Foundation (ph) - No. 53 lead-clearing filter. So not all filters clear lead. You can get a filter that attaches to your kitchen faucet, which is what we have in Flint, or you can get a pitcher filter, but it has to be designated as a lead-clearing filter. GROSS: And it says that on the label. HANNA-ATTISHA: Yes. It has a specific designation, NSF 53. And there's other things that families can do - for example, flushing your water. Like, you know, if you haven't used your water for, like, six hours, overnight or you've gone out of town, you're supposed to always flush your water. So you open your cold water, you run it for a few minutes until it gets really cold, and then you know you've gotten the water from the main, and that gets rid of all the residue in the sediment. Other things that families can do, just basic precautions - you're never supposed to use hot water from your tap. Like, my mother-in-law always told me that, but I'm like, why is she telling me that? But it's true. You're never supposed to use hot water because that increases the leaching of lead from your plumbing, which is another reason why kids have higher lead levels in the summer - because it leaches out from the heat. So you're never supposed to use hot water for cooking or for drinking. This kind of relates to our crisis because we had we had so many boil advisories in Flint because of bacteria. And actually, boiling is one of the worst things that you can do when there's lead in the water because the lead that's in the water will concentrate in whatever that you're cooking. GROSS: Let's take a break here, and then we'll talk some more. If you're just joining us, my guest is Dr. Mona Hanna-Attisha. She's the pediatrician who exposed that lead was poisoning children in Flint, Mich., in 2015 and warned about the water. Her new book "What The Eyes Don't See" is about the water crisis, politics and racism that led to the crisis and her role in solving it. It's also a personal memoir about being the daughter of Iraqi immigrants. We'll talk about being an immigrant after we take a short break. This is FRESH AIR. GROSS: This is FRESH AIR. And if you're just joining us, my guest is Dr. Mona Hanna-Attisha. She's the pediatrician who exposed that lead in tap water in Flint, Mich., was poisoning the children there in 2015. Her new book is a memoir called "What The Eyes Don't See." It's about the water crisis. It's also a personal memoir about being the daughter of Iraqi immigrants. She was born in England and then moved with her parents to the U.S.
As a child, you were exposed to political activism. Your parents had planned to return to Iraq after your father got an advanced degree. He ended up getting a good job at GM and had - what? - like, 43 patents in his name because he was - what? - a chemist. HANNA-ATTISHA: He was a metallurgical engineer. So I grew up with the periodic table. GROSS: Right. But your parents are from Iraq. GROSS: Was it during the Iran-Iraq War they decided not to return? HANNA-ATTISHA: They left right before. So I was born in the U.K. when my father was getting his Ph.D. And the plan was, when he was done in 1979, 1980, for us to go back to Iraq - to go back home. That's where all of our family was. But that's when Saddam Hussein was rising in power. My parents were hearing stories about friends that had gone missing. And of the rise in fascism and tyranny and oppression. And they had two small children at the time. I was just born. My brother is a year older. And they knew that they could not raise their two children there. So we immigrated to Metro Detroit. We immigrated to the States, where already there was beginning kind of the diaspora of Iraqis who were leaving Iraq. GROSS: So your father became very obsessive in following the news out of Iraq. He used to listen to the shortwave radio every night to find out the news. What impact did it have on him emotionally to be away from Iraq but to have friends and family that were still there - and to be obsessed with how Saddam was, you know, imprisoning people, torturing people - people were living in fear. HANNA-ATTISHA: Yeah. So that that is how I recall my entire childhood - my father smoking cigarette after cigarette in a backroom, reading Amnesty International, trying to find out any news about what was happening back home, listening to the shortwave radio, trying to learn about what was happening to his home country. And he would turn that anger - his knowledge of the injustice into action. So he wrote papers. He contacted legislators. And this was a time when nobody knew about Saddam Hussein. Nobody knew about his evilness. And the U.S. was actually supporting that regime at that time. And I clearly recall - I was about 11 or 12. And he showed me - from Human Rights Watch - he showed me a picture of a child - of a baby who was killed - who was poisoned in Halabja. So Halabja is in northern Iraq. And it was a city that had the largest chemical weapons attack. Saddam Hussein poisoned this Kurdish city of Halabja. And over 5,000 people died. And I remember seeing this beautiful baby in a pink blanket who was just, you know, coddled with her father. And both of them were on the ground poisoned to death. It was that picture and that moment that haunted my dreams - but also made me realize how lucky I was to grow up here in this country and how lucky I was to be free, to speak freely and to have the opportunities that I had. But we were never shielded from injustice. We were never shielded from the realization of what evil leaders could do to their own populations - especially vulnerable populations. GROSS: You as a child were in a terrible car crash. HANNA-ATTISHA: So when we first came to the States, we actually moved to the Upper Peninsula of Michigan, which is a full 12 hours away from the Detroit area. And I don't think my parents knew that when they came to Michigan. They knew that there were - was many Arab Americans in Michigan. But I don't think they knew that it would be 12 hours away from most Arab Americans. So we moved to Michigan Tech University, where my father did a postdoc. He continued his research in the metallurgical sciences. And we were traveling back-and-forth to the Detroit area to see our family. And on one trip back to the Upper Peninsula, our car hit a patch of black ice. And it swerved and swerved back-and-forth. And I was weightless. Nobody was wearing seatbelts at that time. And I flung back-and-forth to either side of the car. And then the car eventually went into a ditch. I broke my neck. I fractured my jaw. My teeth were braced together for months. My face was crooked. And what I remember from that time - we were then transported to a hospital. And my mom had limited English. Nobody knew anything about medicine. And I just remember being reassured by a doctor. I can still see her face. She had dark hair. She had dark skin. She held my hand. And she sat down with me and my mom. And she said, you were in a terrible accident, but you are going to be OK. And it was one of my most vivid memories. And from that moment on, I was always interested in medicine. I felt it was probably the most intimate - is the most intimate form of service and healing. And in 30 years after that accident, I found myself in that exact same position where I am literally holding the hands of my kids in Flint, telling them that they were in this terrible accident that wasn't their fault. And now it's my turn to make sure that they're going to be OK. GROSS: So that accident had a lot to do with you becoming a pediatrician? GROSS: ...Especially during this period when you're trying to reassure them that in spite of President Trump's opposition to Muslims - and I know your family isn't Muslim, but for the outside world, like, if you're from Iraq people are just going to assume you're Muslim - and his - also his opposition to immigrants? HANNA-ATTISHA: Yeah. So my husband and I, we're not exactly showing our children pictures of dead babies. But we are absolutely carrying forward the oral stories, the traditions, letting them know where they came from, where their roots are, telling them about stories about my grandfather. We love telling them about my great-uncle, who's in the book, Nuri Rafael (ph), who was a progressive in Iraq in the 1930s who actually left Iraq to fight in the Spanish Civil War as part of the International Brigade. He was one of two people who left Iraq to fight against Franco, to fight against fascism. So we reiterate that no matter where you are, you come from folks who believed in a borderless cause, who believed in a just society. And that just like they did and just like your mom and dad do, we expect that you also, you know, use your education, use your skills and use your voice to make wherever your community may be a better place. GROSS: Dr. Mona, thank you so much for talking with us. HANNA-ATTISHA: Terry, thank you so much. It is, like I said before, an honor to be here - on here with you. GROSS: It's an honor to have you on the show. GROSS: Dr. Mona Hanna-Attisha's new memoir is called "What The Eyes Don't See." After a break, TV critic David Bianculli will review Paul McCartney's guest shot on "Carpool Karaoke," James Corden's popular "Late Late Show" feature. This is FRESH AIR. (SOUNDBITE OF PATTI SMITH'S "WITHIN YOU WITHOUT YOU") Transcript provided by NPR, Copyright NPR.